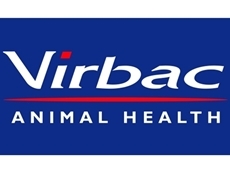 Virbac Animal Health will be opening opening its newest venture, the Virbac Vaccine & Industrial Development Centre (VIVID) will be officially opened on June 21. Common agricultural chemicals such as fuels, pesticides, herbicides, fungicides and veterinary chemicals can be dangerous and need to be handled carefully. Headaches, poisoning, respiratory illness, burns, cancers and birth defects are some of the possible outcomes of chemical mismanagement, so anybody working with them needs to follow the accepted safety procedures. Withholding periods – Farmers are responsible for ensuring that correct usage and slaughter or production-withholding periods are observed. Chemicals need to be stored in their original containers and labels should not be removed. They need to be stored separately from personal protective equipment in locked, well-ventilated shed with floors that can contain spills. 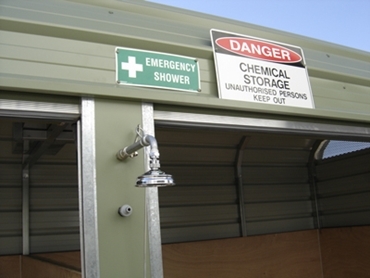 Shady Storage offers Chemical Storage Sheds. Also, the filter(s) from masks should be stored separately from contaminated protective equipment when not in use. Liquid chemicals should not be stored above solids. It is important to separate different classes of chemicals. This will prevent reactions. 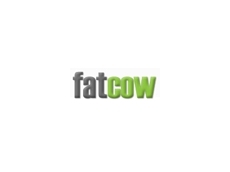 Store animal feeds, seeds and fertilisers separately from other chemicals. Have mop-up materials or spill-kits at the ready. Keep ignition sources away from stored chemicals. Firstly, it is vital that anybody using agricultural chemicals has received the necessary training and is wearing all the correct personal protective equipment. 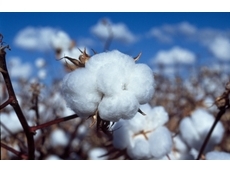 Depending on the product, these may include chemical-resistant gloves, face shields or masks, overalls and goggles. BOC supplies a range of these. Only mix the quantity of chemical required for the task at hand. Chemical decanting kits should be used to reduce the risk of spills and splashes. Also, the decanting and mixing area needs to be well ventilated. It is important to avoid exposing only those animals or plants that you are targeting with the treatment – Aim carefully. Triple rinse equipment after chemical application and dispose of the rinse water appropriately. The Australian Industry Waste Reduction Scheme collects and recycles cleaned chemical containers and unwanted rural, agricultural and veterinary chemicals through a number of programs. 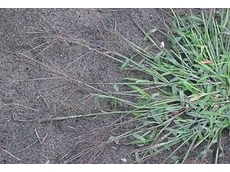 Empty Containers should be rinsed three times and then punctured. This will ensure that they are not re-used (for example for water storage). Empty Containers should be returned to the manufacturer or disposed of in accordance with local council regulations. Chemical stores should be regularly audited. Any excess or outdated chemicals should be disposed of as above.